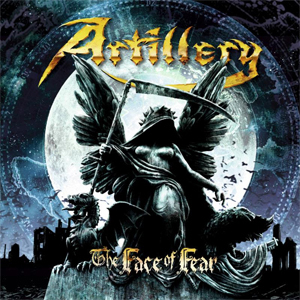 ARTILLERY comments about the video for "The Face Of Fear": "Most of the scenes for the video were shot at Amager strand park right outside of Copenhagen. And the live scenes go back to when the band visited Japan and played at the Thrash Dominations together with EXODUS, VOIVOD and SANCTUARY. The video was shot by the band's good friend Terkel Christensen, who also did the video "When The Magic is Gone", from the last album, Penalty By Perception. The song is about dealing the end of man by himself. We create our own phobia about the destruction of the world, but remain disrespectful to the globe." Since the last album, Penalty By Perception - which won the band four Danish Metal Awards in 2016 (best album, best band, best production and honorary prize) - ARTILLERY has toured around the world, including Europe, South America and parts of Asia. For the rest of 2018, there will be time for Copenhell's Metal Cruise and a Denmark tour, plus a release party on High Voltage. 2019 will include tours in Europe, South America and USA. Stay tuned for more news coming soon!